It wasn't that long ago that we reported that Motorola's i465 had appeared on the FCC's web site sporting PTT capabilities and a full QWERTY keyboard for the iDEN network. 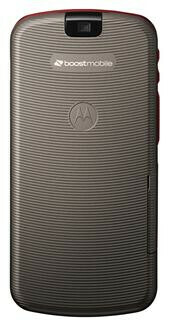 Motorola has now officially introduced the device which it has named the Clutch. The device allows for quick and easy messaging as you are just a button push away from starting your conversation. And if an email or text is more appropriate for the situation, the full QWERTY keyboard makes typing long messages easy, quick, and accurate. With IM style texting, you can keep track of multiple conversations as you will be able to stay on top of the flow of messages coming in and going out from more than one conversation at the same time. And Motorola has gone back to the days of supplying two way handsets to the troops out in the front by allowing the Clutch i465 to meet military specs for things like dust, vibration, shock and solar radiation.So if you're a klutz who is constantly dropping his phone, the i465 should be able to take whatever punishment you can dish out to it. There is nothing eye-popping in the specifications. The device is equipped with a 1.79 inch display and does offer a camera with VGA resolution with 4x zoom and video capture. 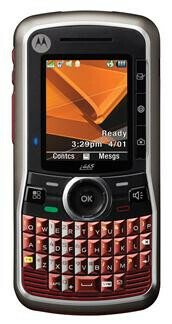 The phone has MMS/SMS and POP3 email support along with 20MB of memory on board. While no specific carrier availability or pricing was disclosed, the Clutch i465 should be ready for shipping in the current quarter. 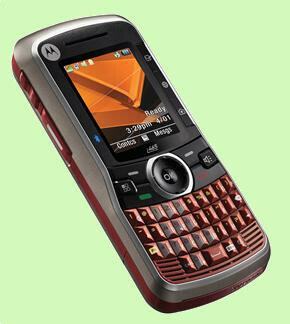 If you're looking for a phone that can get you connected quickly and allows you to text, send pictures and read/compose email, Motorola has given you a way to get the word out in the clutch. I feel that the screen is too small and that the camera could've at least been 1.3 MP, but it's rare to see VGA camera with a camcorder. Also, the QWERTY keyboard looks uncomfortable to text on. But, seeing as how this is the first iDEN QWERTY device, this is a big step for Motorola. And a big step for Boost Mobile. The screen looks a little to small for me. They should move those buttons to the side of the phone or something to make more room. so i got the phone and i love it:P but i think they should sell the phone parts in the stores like i dropped it and a part of the back broke and i want to buy a new one to replace it without my mom knowing any ideas where?